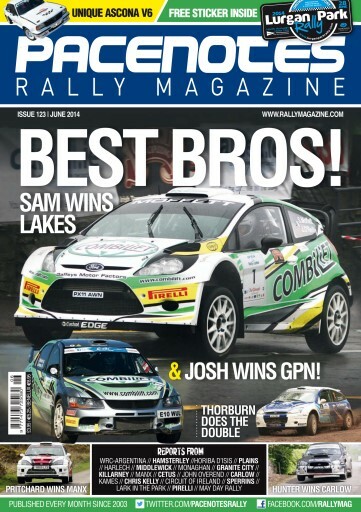 June Issue - On Sale Now! 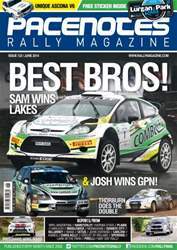 Our front cover features the Best Brothers in Rallying right now, with both Sam and Josh Moffett adorning in the WRC Fiesta and the Mitsubishi Evo, where they took victories on the Rally of the Lakes. Martin Holmes looks back at Rally Argentina with his wrap up, while we also have an event report as well, where the new improved Jari Matti Latvala took the victory. Martin then, retrospectively looks back to San Remo 1974. We have our usual Rally News round up, along with indepth reports from the Pirelli Rally, the Lark in the Park, Tour of the Sperrins and the Chris Kelly Memorial Rally to name but a few. We look forward to the Donegal International Rally. Also not to be missed is the 'Party in the Park', AKA Lurgan Park Rally that takes place on June 28th.